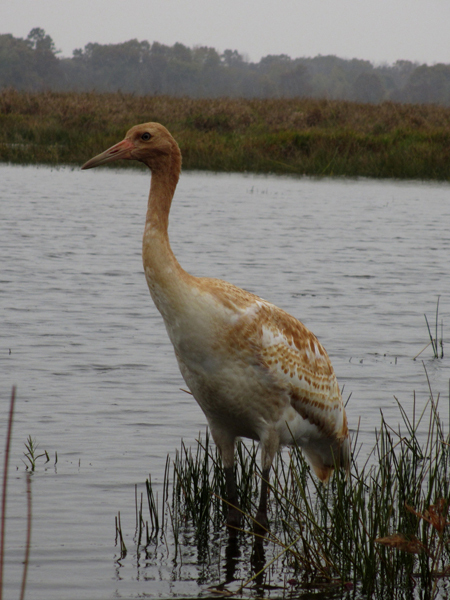 First Months: Crane chick #W3-13 was the only survivor of the wild-born chicks in the Eastern flock for summer 2013. 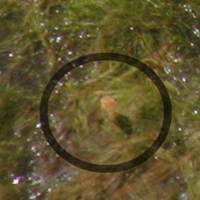 The chick's parents: female #9-03 and male #3-04. The chick hatched from a late nest, the pair's second nest of the season. They were first seen incubating on this nest on May 31. Chick W3-13 was first seen on July 3, and was again seen on July 23 with one of its parents during aerial surveys by the Wisconsin DNR pilot, Bev Paulan. All summer experts respected the space and privacy of this family in the wild. On September 20, ICF tracker Eva reported: "W3-13 is about 80 days old today so should be flying at any time!" 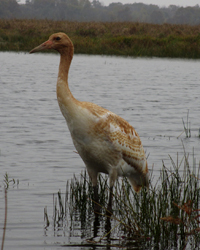 The chick continued to do well into October, and tracker Eva reported that she was captured and banded on October 30. 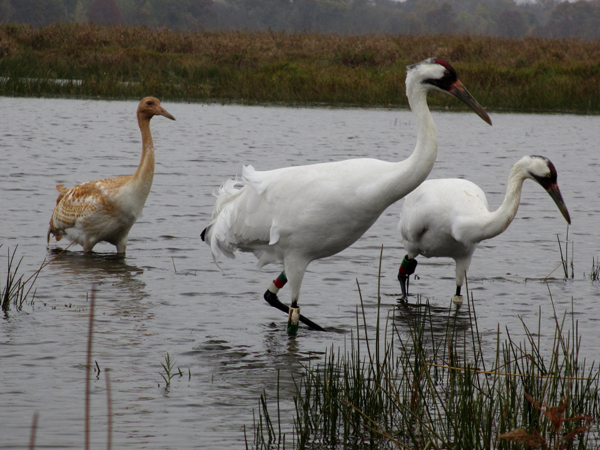 ICF and Necedah NWR experts also drew blood in order to determine the gender. 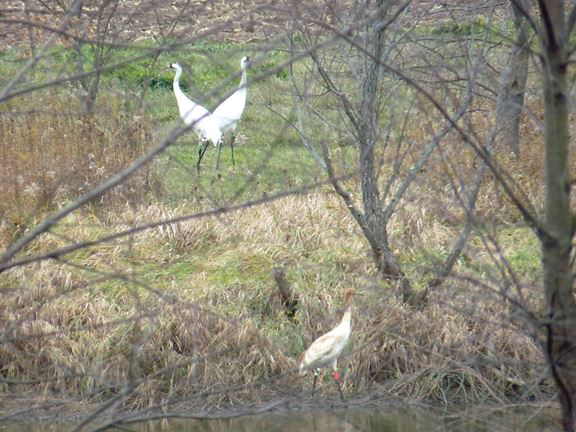 "I'm calling this crane 'she' because it is very short and more along the lines of a female than a male," said Eva after the banding. "We'll have the official results probably in a couple of weeks." Eva sent word Nov. 13 that W3-13 is indeed a girl! 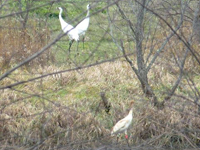 Fall 2013: Ted Hartzler observed #W3-13 (in the foreground) and parents 9-03 and 3-04 the week of Nov. 10 in north-central Illinois. The family completed migration to the adults' previous wintering location in Wayne County, Illinois, by November 14, but W3-13 was last observed alive during an aerial survey flight on December 11. She was still missing in January and presumed dead.